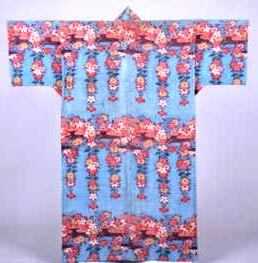 Okinawa’s rich cultural heritage and history is steeped in the centuries of living as the Ryukyu Kingdom. 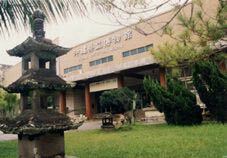 More than 70,000 items and artifacts chronicling the life and times of the Ryukyu Kingdom which preceded Okinawa being part of Japan are contained in the Prefectural Museum in Naha. Awe and fascination begin even before entering the museum, as you gaze at Okinawa’s largest bell, Enkaku-ju, which sits in a bell tower in the front yard. It is the largest museum on Okinawa, and not only features the exhibits and displays, but offers cultural lectures in Japanese, and occasionally, in English. Military services offer tours to the museum. The present museum sits on a site once occupied by the Ryukyu royal family, the Sho family. The villa was converted into a museum to capture the values of Okinawa history in 1966. It replaced earlier museums established decades earlier. Following World War II, the museum was reestablished in northern Okinawa, then merged in 1953 with a museum in Shuri to create The Government of the Ryukyus Museum. The museum was housed in a building on the east side of Shuri Castle’s Ryutan Pond. The original building was built courtesy of the U.S. Army, which supplied the materials to construct the simple wood frame structure. When Okinawa reverted to Japanese control in 1972, the museum was turned over to the Okinawa Prefectural Government. Okinawa’s Prefectural Museum is spread across five exhibition halls, with two above ground floors and a basement hall housing the jewels of the kingdom, the library, and much much more. There are 13,000 permanent exhibit items on display as part of the 70,000+ artifacts in the showcases. Included in the countless display elements are designated prefectural cultural assets, as well as the Omorosoushi, the Anthology of Ancient Verse. Permanent museum displays are displayed in four theme settings: History, Folklore, Arts and Crafts and Natural History. The Okinawa Prefectural Museum is open Tuesday through Sunday,9am-5pm. Admission cost is ¥210 for adults, ¥100 for students and ¥50 for children. Information is available at 098-884-2243. The Museum is situated on the Naha northside, about one-half kilometer from Shuri-jo Castle Park. Drive south from the military bases on Highway 58. Look for signs to Shuri-jo, and turn left on Highway 82. As you approach the park, signs will direct you to the Okinawa Cultural Museum. The same rules apply when coming south on the Expressway. Use exit #1, then turn right onto Highway 82. Look for the signs. If taking the bus from Naha Bus Terminal, busses 1, 12, 14 and 17 will take you to the museum.